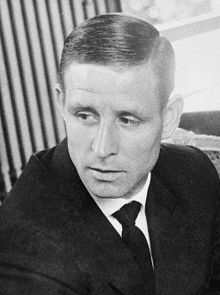 Raymond Kopa (French pronunciation: ​[ʁɛmɔ̃ kɔpa]; birth name Raymond Kopaszewski; born 13 October 1931 - 3 Mairch 2017) wis a French fitbawer, integral tae the French naitional team o the 1950s. At club level he wis pairt o the legendary Real Madrid team o the 1950s, winnin three European Cups. ↑ Gaillard, William (4 February 2011). "Goals, not coal, for Kopa". uefa.com. Retrieved 28 October 2015.